Manfred Horvat is independent expert for international research and technology policies and programmes and is honorary professor at the Vienna University of Technology (TU Wien). He is Senior Advisor of CESAER, the Conference of European Schools for Advanced Engineering Education and Research since 2008 and coordinates the Conference of Rectors and Presidents of European Universities of Technology since 1981. 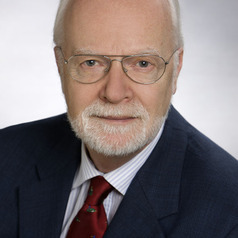 As first director for International Research and Technology Cooperation of BIT and in the FFG, Austria, Manfred Horvat was responsible for the operational implementation of the Framework programme in Austria from 1993 to 2006. Since the beginning of 1990s, he has been member of several programme committees for European education and RTD programmes and acted also as independent expert for STI policies and programmes advising governments and international bodies. He served as member and chairman of many expert panels appointed by the European Commission for the evaluation and impact assessment of EU programmes and instruments. Currently he is member of the Horizon 2020 Advisory Board for the Marie Skłodowska-Curie Actions and is involved as expert in several studies regarding international science and technology cooperation.